Impact of carbon pricing on households | PRICE CARBON NOW! The National Roundtable on the Environment and the Economy estimated the impact of a $27/tonne CO2 carbon price on households with different income levels in the absence of recycling of the revenue. 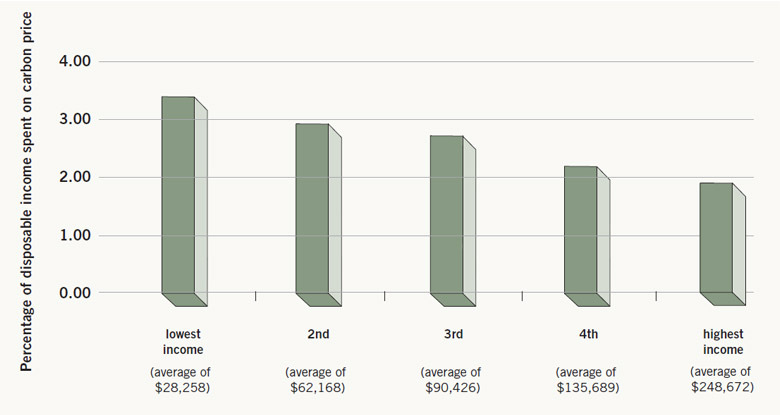 Burden of a $27/tonne of CO2 carbon price on households with different income levels in the absence of revenue recycling. Note: Note that the figure assumes households make no abatement efforts. 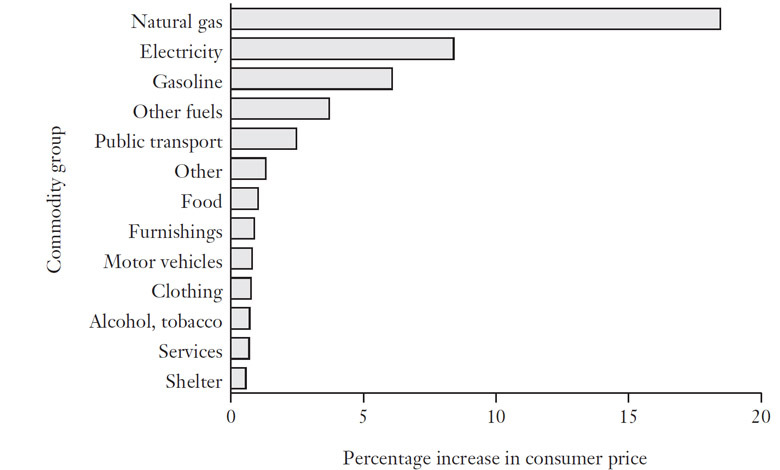 In reality, households will respond to the price signal to reduce their costs, and actual expenditures will be less than as illustrated in this figure. However, these disproportionate effects can be completely overcome for most affected households with a revenue-neutral carbon tax (with dividends or income tax reductions). For example, the carbon tax in British Columbia was accompanied by a Low-Income Climate Action Tax Credit, which was evaluated to be moderately progressive in that the bottom 20% of BC households, by income, benefitted with a small net gain.5 This could be further improved by distributing all or most of the revenue from a carbon tax or auctioning permits in the case of cap and trade. 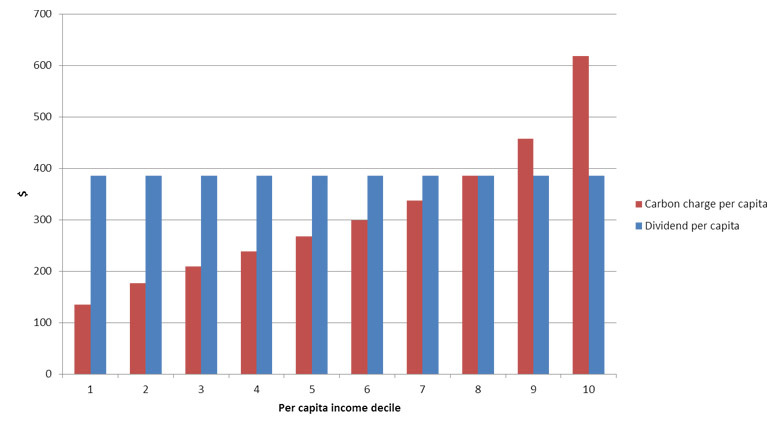 Studies specific to the US scenario suggest such a policy would result in a positive 6.5% net impact in the lowest per capita income decile, and decreasing gradually with increasing per capita decile groups.6 The impact of a $25/tonne of CO2 carbon tax was estimated to be $135 per person in the lowest income decile and $618 in the highest income decile. With equal per capita dividends of $386 as a result of distributing 80% of the revenue, the bottom seven deciles will have a net positive gain ranging from $251 to $49. Overall, the net positive impact would be a median of $103.6 Such a carbon policy would essentially reverse the regressive impacts the policy.